KidReports is a web-based digital classroom management and child care communication solution that offers parents more than just daily reports, with tools for sharing attendance data, activity logs, photos, videos, notifications, and more. With KidReports, child care institutions such as schools and kindergartens can go digital, connect with parents, and manage their daily operations from any desktop or a mobile device using the native apps for iOS and Android. It allows child care service providers to pre-plan classroom activities and communicate effortlessly with parents. KidReports' classroom management feature manages and tracks child attendance, logs daily updates, generates reports at predefined time intervals, and allows teachers to send photos and videos to parents. The licensing reports feature helps with name to face reporting, ratio and count reports, and transition sheets. Other tools include a real-time dashboard, centralized managing, attendance records, and the ability to run over 100 different built-in reports. Time saving for teachers which lowers payroll. Less use of paper products for forms that have to be filled out such as, accident/incident reports, medication authorizations, etc. Easier communication ability with parents and teachers. I can see immediately how many kiddos are in each room with the number of teachers as well. I can locate a child if he/she has been moved to a different room. Teachers will be able to perform conferences with much more ease with everything right at their fingertips.I love the options and the customization capabilities that KidReports provides for our center. We used a different program for parent communication prior to KR so parents and teachers had a tough time switching but now that we have used it for over a month everyone is loving it. I am so pleased that I am able to customize the activities so I have created our Medical Authorization form, Medication Log, Child Ill Form, Child Health, and so many others. The ease of use for the staff to be able to just select the Early Learning Standard they are working on and tie it to a picture or a video is the BEST! It makes documenting children's progress and accomplishments so much easier. The parents love getting the pictures/videos throughout the day along with the rest of the information they receive daily. I really get excited when I think of something new that I can add to the activities, and it has reduced the amount of paper that we use because we virtually have everything set up electronically. I love the options and the customization capabilities that KidReports provides for our center. We used a different program for parent communication prior to KR so parents and teachers had a tough time switching but now that we have used it for over a month everyone is loving it. I am so pleased that I am able to customize the activities so I have created our Medical Authorization form, Medication Log, Child Ill Form, Child Health, and so many others. The ease of use for the staff to be able to just select the Early Learning Standard they are working on and tie it to a picture or a video is the BEST! It makes documenting children's progress and accomplishments so much easier. The parents love getting the pictures/videos throughout the day along with the rest of the information they receive daily. I really get excited when I think of something new that I can add to the activities, and it has reduced the amount of paper that we use because we virtually have everything set up electronically. Sometimes when I'm setting things up in the activities I start to type in a box and my cursor goes away and I don't realize that all of my typing is going nowhere. There were a few small things that we had to get used to and was a little difficult to use in the beginning but I think it was mainly because we had previously used a different electronic communication program. I don't like how when I create an activity (i.e. accident/incident report)I need to have things show up in a specific order such as, parents name first, equipment involved, was 911 called?, etc. However, I was informed that they would be fixing this so I am able to do this by April sometime. I really don't have too much negative to say about KR, I am loving it. Overall it is such a great application that I am looking forward to using throughout the years. As a parent and a Director i see how much of an impact having KidReports can do to in a parents day. I love that the parents have access to the children's day and how easy it can be. I love that the parents have access to the children's day and how easy it can be. There are a few glitches, and it is mostly on the administration side. When editing classroom activities, sometimes with time it reverts back to the old data. Which i have to go back and correct. Also the message that the parents send to the teacher do not go directly to the administrator account so it makes it a little hard for us to see unless we are physically looking at the ipads. When the teachers try to input their curriculum on the planners, it sometimes jumps from on of the day to the next so it is not consistent and makes it a little harder to upload. The ease of use of the KidsReports software makes drop-off and pick-up of my kids to effortless. I am able to check them in and out of daycare quickly and remain stress free from the hustle that mornings often bring with getting kids to daycare. Thanks! Only negative on this software is the finicky fingerprint reader. Winters are a dry time and the fingerprint scanner never works for me, although it worked flawlessly at the last daycare center we were at that used it, so it may be a setup issue or just my dry skin (certainly not the fault of the software by any means). KidReports has allowed our school to easily share daily information with our parents. Great parent involvement since they are able to see exactly what their child(ren) does during the day. Our parents also love how they are able to directly contact our teachers through this app. KidReports allows our school to better improve our communication with our parents.Our school enjoys being able to share pictures with our parents just as much as being able to easily navigate through the simple app. Our school enjoys being able to share pictures with our parents just as much as being able to easily navigate through the simple app. The only "issue" we seem to run into is a slower response time from the customer service team when our schools individually reach out, as opposed to the fast response our area Marketing and Media Director receives when contacting the customer service team directly. Hi Sidney! Thank you for taking the time to review KidReports! Please let us know how we can be of further assistance! 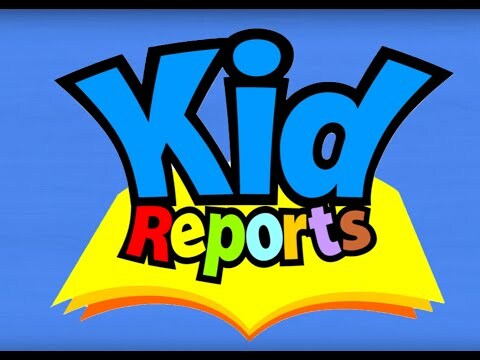 KidReports is a great software used by our Child Care Center replacing paper daily reports! I like that KidReports has a lot of features that can be utilized to personalize each classroom's activities. Thus, teachers are able to choose from a wide variety of activities that can be added to each child's electronic report. I also loved the feature that allowed parents to receive "real-time" updates on things happening with their child. The ease of use of KidReports was the main con. I had a difficult time navigating through all of the features. • The center management module allows users to import data from the database manager, manage permission control and add unlimited family members for each student. • The quality assurance functionality sets minimum requirements for teachers and licenses reports with a click. • KidReports provides lifetime data access and storage to the schools and childcare service providers. • The app is equipped with 40+ languages and parents can select their preferred language. • Parents can edit their contact information easily and record the drop off of their kids. Below are some frequently asked questions for KidReports. Q. What type of pricing plans does KidReports offer? Q. Who are the typical users of KidReports? Q. What languages does KidReports support? Q. Does KidReports support mobile devices? Q. Does KidReports offer an API? No, KidReports does not have an API available. Q. What other apps does KidReports integrate with? Q. What level of support does KidReports offer?